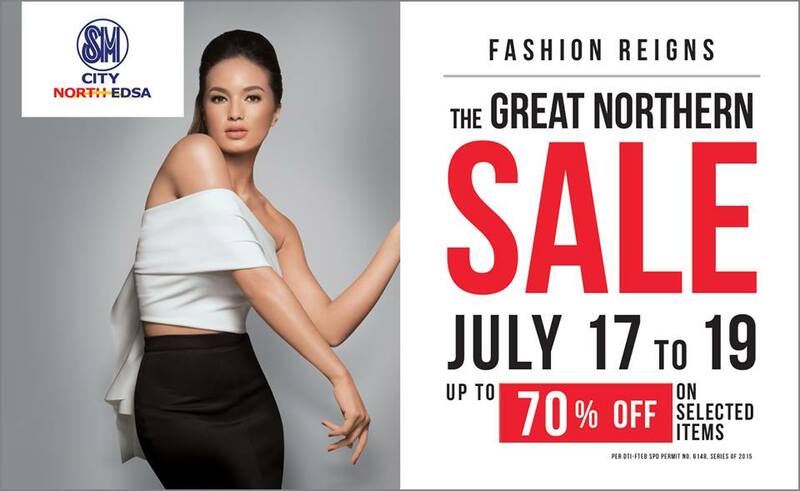 Are you ready for The Great Northern SALE? 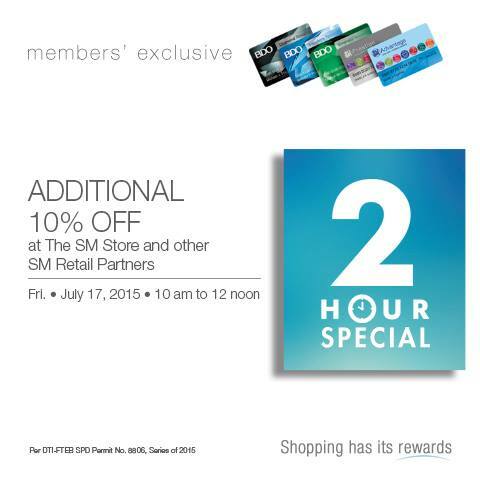 SM City North Edsa's 3-day SALE happens from July 17 - 19, 2015. 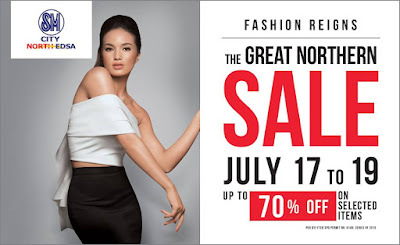 Enjoy up to 70% off on great selections from participating stores mallwide. SM Advantage, BDO Rewards cardholders - don't forget the 2-hour special on Friday July 17 from 10am to 12nn at The SM Store, and SM Retail Partners (like Uniqlo, Sports Central, Toy Kingdom, Ace Hardware, Levi's) to enjoy additional 10% off on sale items.